Optics and accessories manufacturer Kenko has announced a new pair of teleconverters. The new models, which are a part of Kenko’s Teleplus HD Pro series, are a 1.4x and 2x converter designed for Nikon F and Canon EF full frame cameras and lenses. Kenko says the optical construction of the converters has been redesigned and the converters now contain more elements and improved coatings to reduce internal reflections. 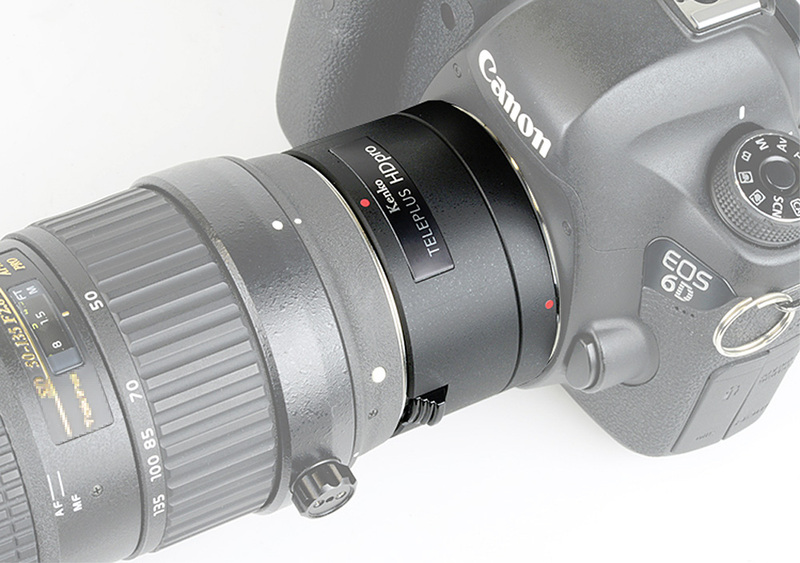 Contacts on the converters support communication between the camera and the mounted lens so EXIF data can take into account the effect of the converters when the focal length and aperture values are recorded. 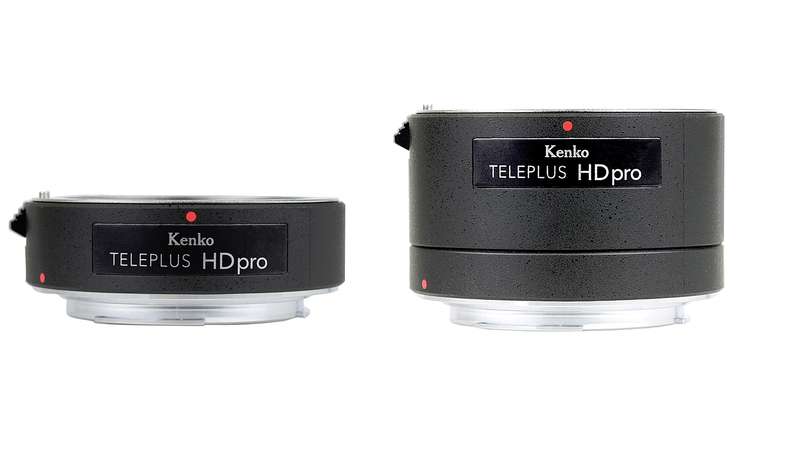 Available now, the Kenko Teleplus HD Pro converters will cost $249/£219 (1.4x) and $299/£269 (2x). For more information see the Kenko website. Intro 2020 announces details and availability of the new Kenko TELEPLUS HD pro series of teleconverters. 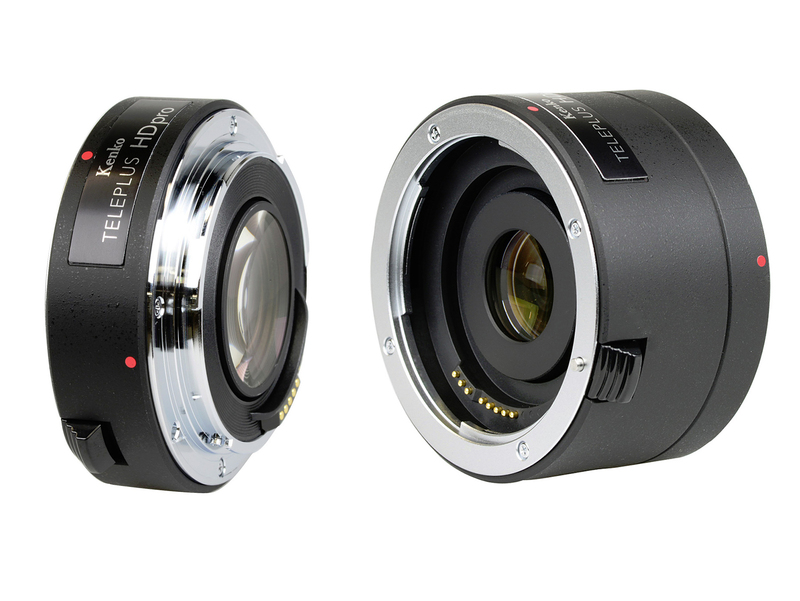 The TELEPLUS HD pro series replaces the previous TELEPLUS PRO300 series, with redesigned optics and multi-layer coatings, to match contemporary high-resolution DSLR cameras and lenses. The HD pro series joins the existing, new-generation TELEPLUS HD line up (1.4x and 2x types) as a superior series in terms of optical design and coating quality. Optical construction has been redesigned by implementing additional optical elements and improved multi- layer, anti-reflection coatings to maintain the original performance of new-generation DSLR cameras and lenses. HD pro teleconverters are equipped with all electrical contacts to support communication between the camera and the lens. The focal length and aperture values are recorded in EXIF data and converted to the actual shooting values with the teleconverter attached. The external design has been re-finished in a black leather tone to perfectly match with the latest lenses and DSLR cameras. With approx. 2 cm in height for the 1.4x type and 4cm for the 2x type these small, compact and convenient to carry tele converters will extend the focal length of the lens providing the photographer a great chance to shoot even more impressive images.